The National Library of Israel has purchased the “Afghan Genizah” collection brought to Israel by Israeli antiquities dealer Lenny Wolfe some 10 months ago. The collection includes about 250 documents, most from the 11th century, and were most likely discovered in a cave in northern Afghanistan. About 100 of the manuscripts probably came from the archive of a Jewish family that lived on the Silk Road in the area of today’s Afghanistan. Some of the documents concern the family’s trading business. Some are private letters and others are religious texts. They include a section from the Mishnaic tractate of Avodah Zarah. This is the earliest example of Jewish religious texts in a Persian speaking region, east of Babylonia. Scholars now know that the source of the manuscripts is not a genizah – a hidden cache of manuscripts – like the one found in Cairo, but rather the archive of a Jewish family of traders who lived on the Silk Road in northern Afghanistan in the 11th century. The head of the family is named in the manuscripts as Abu Nassar Ben Daniel and the family apparently lived in the central Afghani city of Bamyan. The city made headlines 15 years ago when the Taliban blew up two huge statues of Buddha there. The collection of manuscripts came to light a few years later, after the war that led to the downfall of the Taliban in Afghanistan. Rumor has it that the collection was found in a cave or deep rock crevice somewhere in Afghanistan, where it had been secreted by its owners about a thousand years ago. The manuscripts were written in a wide variety of languages – Aramaic, Hebrew, Persian, Judeo-Arabic and Judeo-Persian – the two latter languages are Arabic and Persian written in Hebrew letters. Legal and commercial manuscripts can be found in the collection along with sacred writings and personal letters. The main importance of the Afghani genizah is the treasure trove of information it contains about the Jewish community in Afghanistan a thousand years ago. For example, the personal letters reveal the places in which Jews lived, their professions and family structure. About 150 of the documents are from a later period, the 12th century and the early 13th century. They are written in Persian and Arabic, and are not connected to the local Jewish community, but they are still of incredible importance to scholars researching the region in the early Middle Ages. Most of these texts were written by Muslim traders who lived in the area, before the destruction wrought by the Mongol conquest in the mid-13th century. Researchers have little written information on the life and culture of these regions during these periods, as the Mongol conquest led to the destruction of most documents from that period. 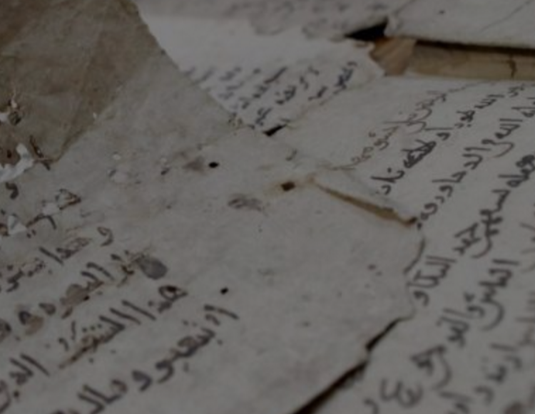 Experts are still uncertain about the connection between the two different collections of writings: The Abu Nasser family archive and the non-Jewish collection; or whether they came from the same source, or two different locations. Three years ago, the National Library bought 29 other manuscripts from the Abu Nasser Genizah, also from Wolfe. Now they have bought another 100. Experts estimate that another 500 such documents from the same collection are still in the hands of two private antiquities dealers in Europe. The various manuscripts have been appearing in the Judaica antiquities markets over the past seven years. The negotiations between Wolfe and the National Library continued for months and in the end the purchase was made possible because of a special donation made to the library by the William Davidson Foundation and the Haim and Hanna Solomon Fund. Neither side will say how much the deal was worth, but the amount is not thought to be astronomical because the pages include only text and no illustrations or art, and the value of such writings is considered to be limited in antiquities markets. The National Library is working to digitally scan all the manuscripts and upload all of them to the internet.